After completing a 4 year apprenticeship in mechanical engineering, gaining extensive experience in machine shop practice and engineering design, George went on to read Mechanical Design, Materials and Manufacture at the University of Nottingham. 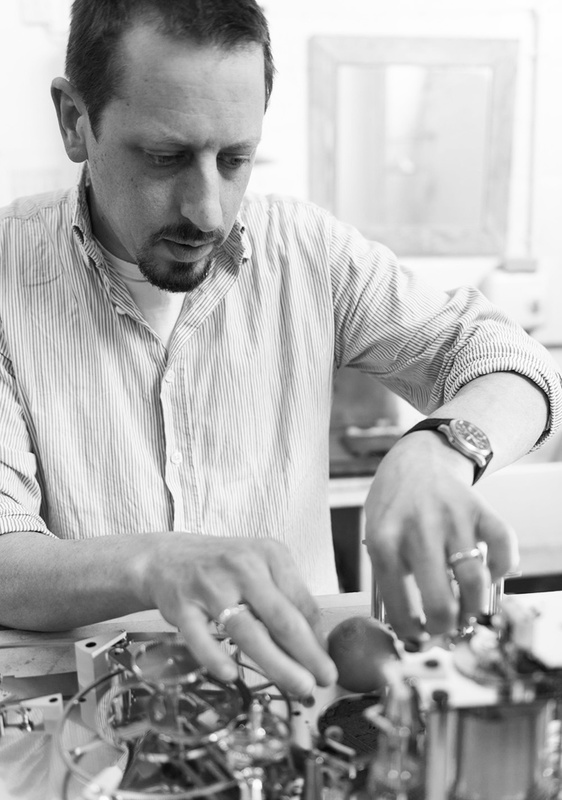 Having graduated with an honours degree, George spent a period of time working in a design role within the nuclear industry, before deciding to change direction and retrain as a clockmaker, studying the Conservation and Restoration of Antique Clocks at West Dean College. It was a natural progression, since George’s father, also a clockmaker, supported and encouraged his son’s early ventures into craftsmanship, laying solid foundations for George’s later career. After graduating from college, George set up his own clock workshop in Bath. Here he not only worked on some of the country’s most valuable and important early English clocks by makers such as Tompion, Fromanteel and Knibb, but also, drawing upon both his extensive engineering background and horological experience, established a reputation for the design and manufacture of the finest quality handmade clock movements. George is a Freeman of the Worshipful Company of Clockmakers and a Fellow of the British Horological Institute.